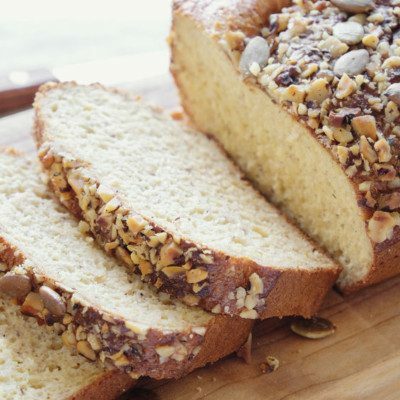 Keto baking is the making of bread and other baked goods by replacing wheat flour with low-carbohydrate sources and other functional ingredients. It is practiced by individuals following the strict low-carb ketogenic diet. Keto baking demands the use of alternative ingredients and processing methods. The corresponding baked goods, therefore, are quite different from standard wheat flour-based bakery products in both taste and appearance. Keto baking has become very popular in developing countries in the last few years. It is based on the well-known “keto diet” used by those following a low-carb strategy to lose weight, improve a given health condition, avoid consumption of food allergens such as gluten, or simply to change their diet habits. ** Lemon juice can be used instead. Lower pH strengthens and stabilizes egg foam resulting in better finished volume. Eggs preparation and 1st mixing. Separate the eggs and put the whites and cream of tartar in a large mixing bowl and mix on high speed until stiff peaks form. 2nd Mixing. Mix egg yolks, almond flour, butter, baking powder, salt, stevia, and 1/3 of the egg whites foam until a thick, uniform batter forms. Fold the foam. Fold in the remaining whipped egg whites in 2 parts. Depositing or panning. Grease with coconut oil spray prior to panning. An 8 x 4-inch loaf pan is usually used. Baking. Given the high density of the formulation, baking is done at 400–420°F (204–216°C) to an internal temperature of 204°F (95°C). This usually takes 25–35 minutes. The higher the oven temperature, the shorter the baking time. Cooling to loaf internal temperature of 95–105°F (35–40°C) before packaging. Keto baking is one form of gluten-free baking. This is because most wheat flour substitutes and ingredients used in the production of keto baked goods come from gluten-free sources that do not belong to any Triticum species and/or other potentially gluten-containing cereals. Mixing: It is very important to prevent any contamination of egg whites with butter as fat can cause the egg white foam to break down and lose the ability to entrap air. Strict cleaning practices for equipment, process tools and utensils should be performed prior to starting new batches. Baking: Thermal profiling is a great tool for monitoring and controlling the baking process. Given the radically different formulation from traditional bread, it is advisable for optimum results to understand the correlation between oven conditions (timing/temperature) and microbial inactivation, crumb set and color formation. Currently, there is no high-speed production of keto bakery products. Virtually all keto baked goods are often produced at a retail and even home level. Although existing large-scale bread making processes can be used to make keto bread, major challenges may still arise, especially those related to allergen management during production runs. Barot, M., and Gaedke, M. “Wake-up Call.” Keto Made Easy, Victory Belt Publishing Inc., 2018, pp. 117–119. United States Department of Agriculture – Agricultural Research Service (ARS). USDA Food Composition Databases: https://ndb.nal.usda.gov/ndb/search/list?fgcd=&manu=&lfacet=&count=&max=25&sort=default&qlookup=almond+flour&offset=&format=Full&new=&measureby=&ds=&order=asc&qt=&qp=&qa=&qn=&q=&ing=. Accessed 11 April 2019.